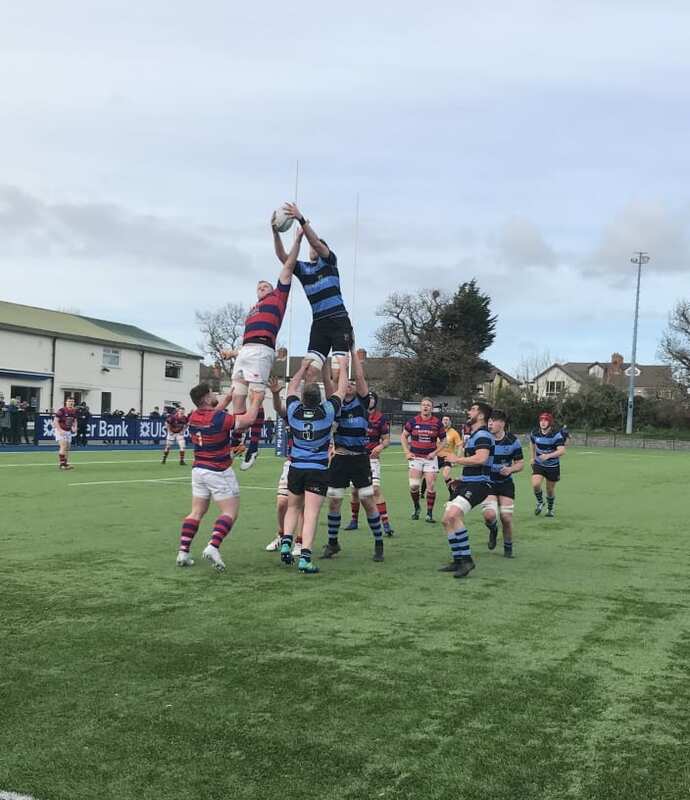 Notes W/E 10/03/19 | | Shannon Rugby R.F.C. With the season passing in a blur – we already find ourselves at St. Patrick’s Weekend! Our underage will be marching in the parade again this year, so if you are watching – keep an eye our for them and give them a big cheer. All Club Underage players are invited and encouraged to come along in their Shannon Gear. We are meeting in the Army Barracks at 11:00am. Parents: Please follow us to the Potato Market as soon as we pass you along the parade route. It will be cold and may be wet so dress appropriately. With the weekend that’s in it, we only have one fixture – seeing our seconds line out against Cashel in the Seconds League. The closing date for the Champ or Chimp has now passed and with a record number of entries this year, the organisers would like to thank all of those who supported the event. A special word of thanks again to our great supporters who again sold large amounts of entries and who contribute to the success of this fun fundraiser every year! Thanks also to our fantastic organising committee who have again worked tirelessly to produce another fantastic competition to keep us all on the edge of our seats for the year ahead! Back By popular demand! We have got a new batch of Noggin hats for everyone who missed out on them the first time around! 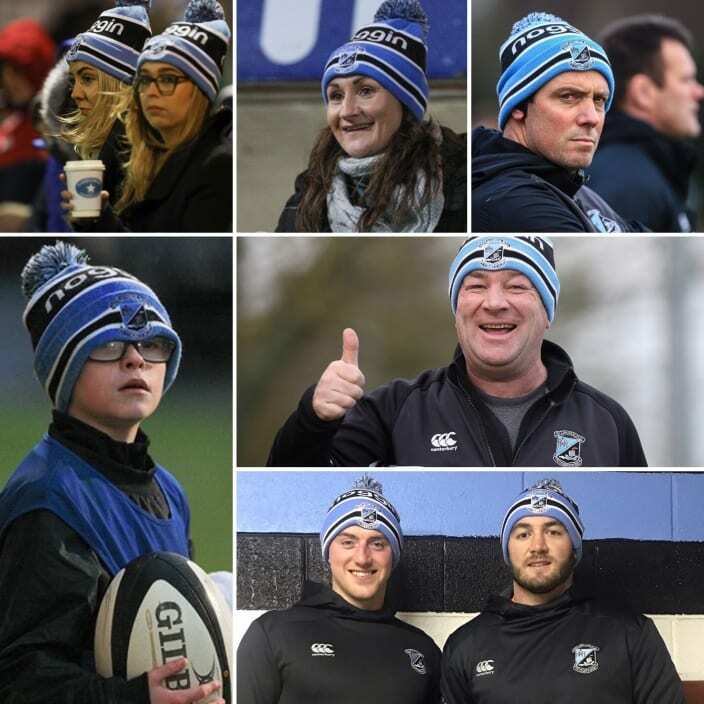 They will be for sale in the club shop from this weekend so if you didn’t get your hands on one last time – now is your chance! It was a tough day at the office for our Senior Firsts in Dublin last weekend as Clontarf came away with the spoils of round 15 with a 45-14 scoreline. Clontarf drew first blood with a try after 5 minutes, scored from the back of the maul. This was cancelled out minutes later, as Luke Moylan powered over the line for a well worked try off a solid Jack Stafford pass. Clontarf bagged another two tries in the following 20 minutes but we bit back soon after with Ben Daly crossing over the line to leave us 21-14 at half time. The second half told a different story with Clontarf taking advantage of any opportunities to put points on the board. Shannon kept the attack up until the bitter end, spending periods pummelling the Clontarf line. We were unlucky in the closing minutes of the match after a great Pa Ryan break saw us down on the Clontarf line but a forward pass saw Clontarf again capitalise and take their chances. The result sees us drop to ninth place with it all to play for over the next few weeks. We have a weekend off this weekend but will be back with a bang the weekend after when we welcome Terenure to Thomond Park. All support is most welcome – come along and make yourself heard on the sideline! The weather played havoc with training and games last weekend but those fixtures that did go ahead, produced some great games! Our U14s recorded another great win in the quarter final of the North Munster Cup against Old Crescent in Coonagh last Sunday. In awful conditions the lads dug deep and came away with a 19-0 victory. 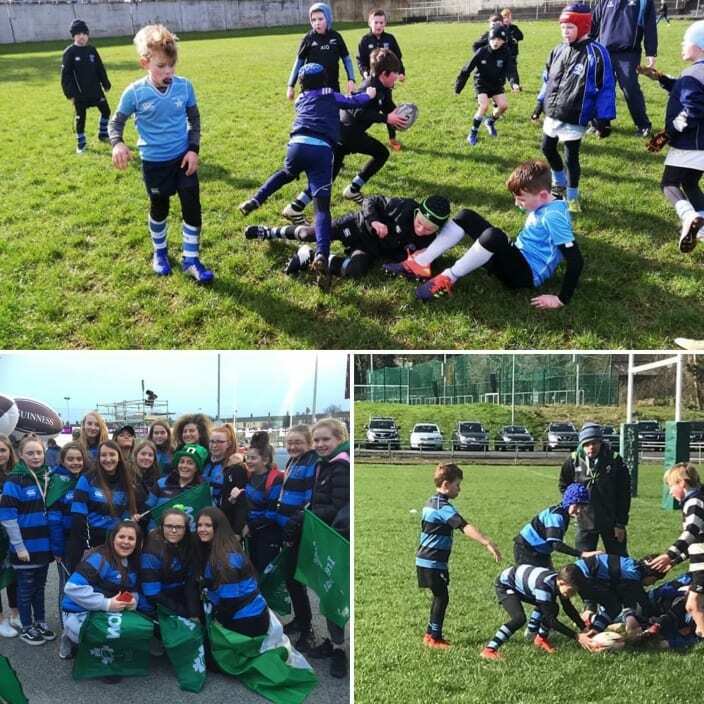 Our U10’s braved the elements in Dooradoyle and had 3 teams play in a Garryowen hosted blitz. They showed great endeavour, and some great performances marked a super morning of rugby.,Well done boys and their coaches. Our Underage girls section went on a trip to Dublin to support the Irish Ladies in their game v France, A great day was had by all with the girls bagging plenty of photos with some big names in the Irish set up! Registration is available each Sunday in the Cabin in Coonagh from 10am!! We are delighted to announce that we will be running an Easter Rugby Camp this year. The camp will run from April 15th-18th and will be open to boys and girls aged 4-14. The camp will run from 9:00am to 1:00pm each day and is being run by our Senior panel. Keep an eye out for some special guests too.If our Summer Camp is anything to go by – this is sure to be a great event!! It is priced at €50 per child and only €30 for additional children. 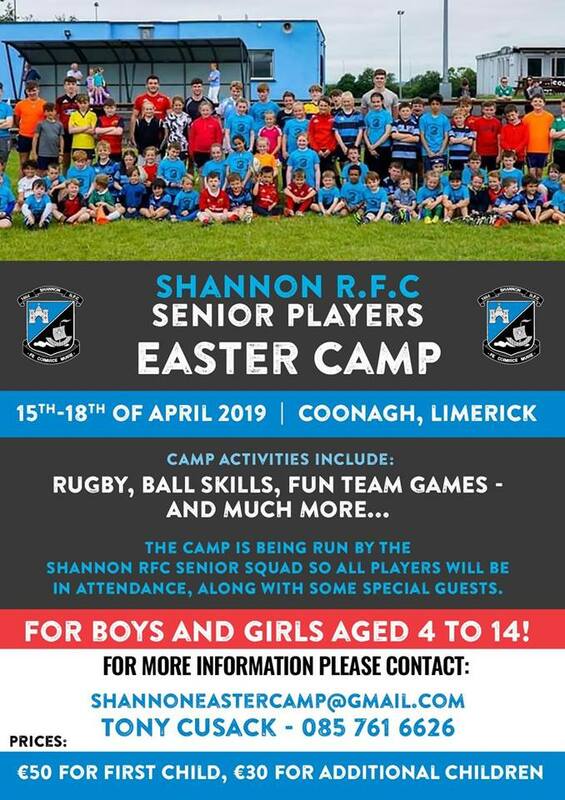 f you would like to book a spot contact Tony Cusack at 085-7616626 or shannoneastercamp@gmail.com – places have already started to fill up! 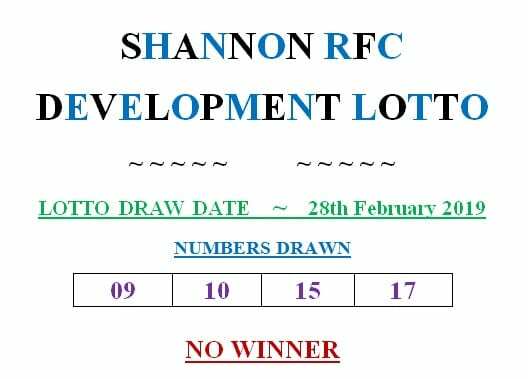 Next week’s draw is for €2,200 and will be held in The Daggers, Blackwater on the 14th of March 2019.